Simple and slim. Luxury with clean straight lines. Excellence of Clou. Mini Wash Me hand basins show where small spaces can be great at. 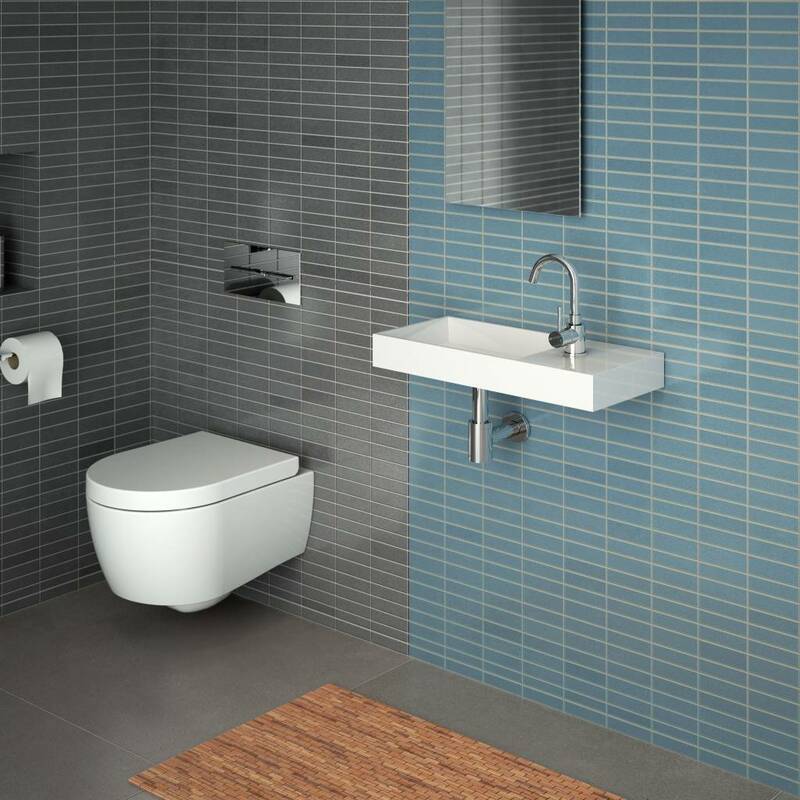 The design is in its minimalism an eye-catcher on almost any toilet. 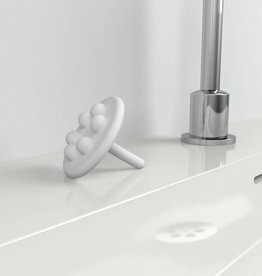 The Mini Wash Me is available in many designs and sizes, in glossy white ceramic, white mineral marble and white aluite. Mineral marble and aluite are high-quality composite materials. 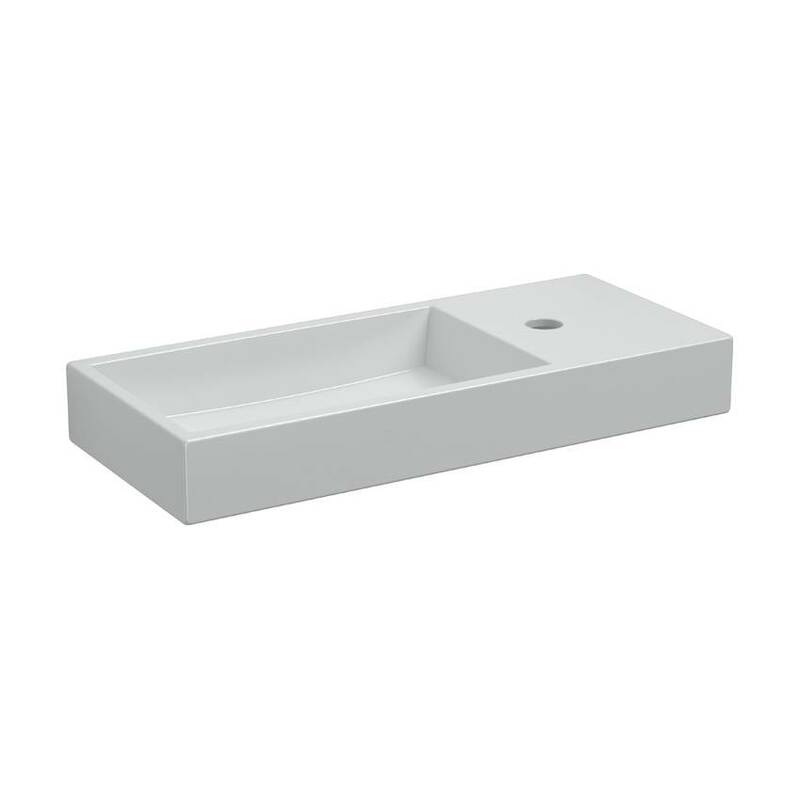 With a depth of 24 cm this Mini Wash Me hand basin remains compact yet offers comfortable space for the hands. 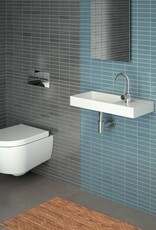 The Mini Wash Me hand basins can be mounted freely on the wall or counter mounted on a shelf. 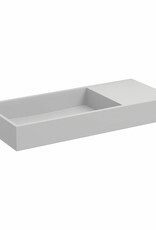 Mini Wash Me hand basins should be combined with Mini Wash Me drain sets. 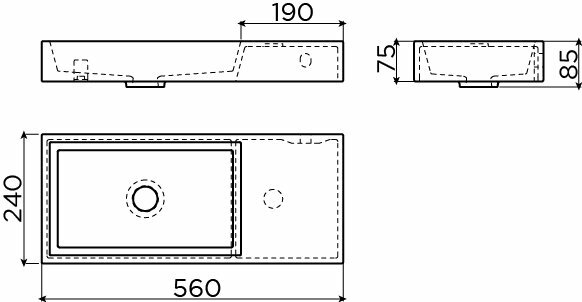 These are available with or without a cover in polished chrome or brushed stainless steel. To complete the elegant design, we recommend using the InBe type 2 siphon. This siphon is a little but smaller and fits the hand basin's design perfectly. 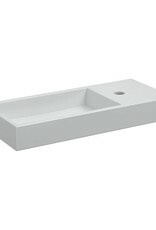 Mini Wash Me hand basins in ceramics are only available with tap hole. 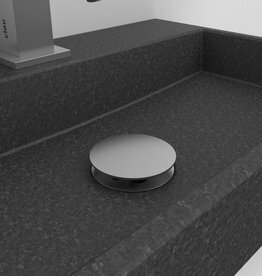 Hand basins in mineral marble and aluite have a pretreated tap hole. This can be pierced if desired yourself with a spade drill for wood. 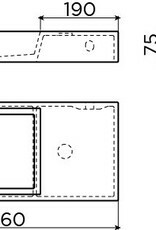 More info on this can be found in the installation instructions. 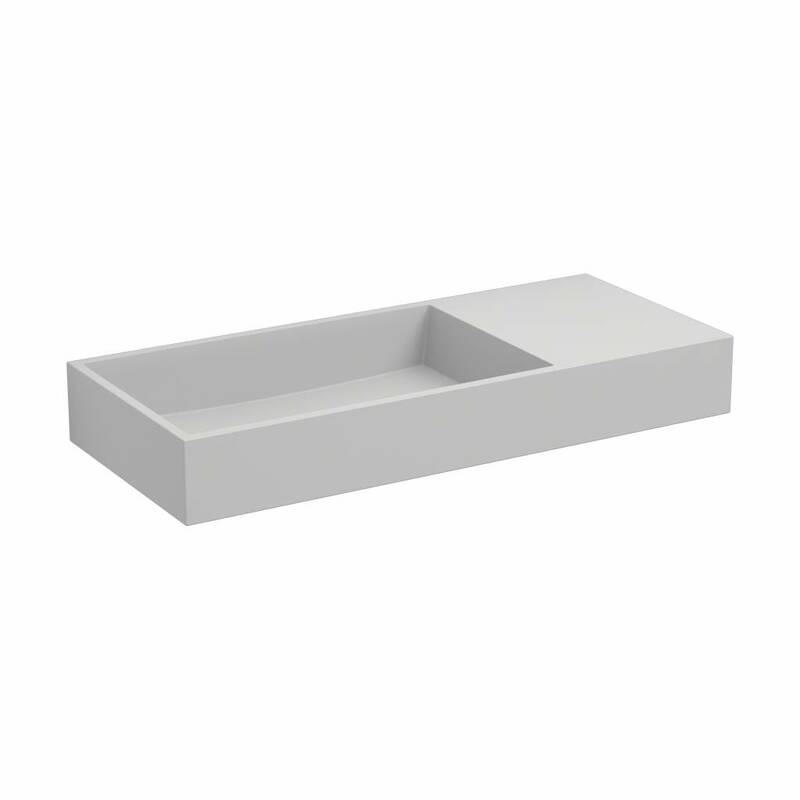 Because the basin is close to the wall, there is no room for a standard attachment on the left side. 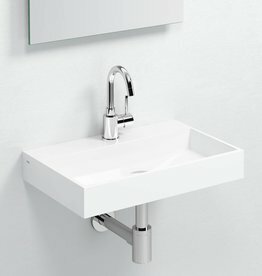 When wall mounted the hand basin therefore is supported on one side by a steel bracket. On the other side, a standard fixation is used. 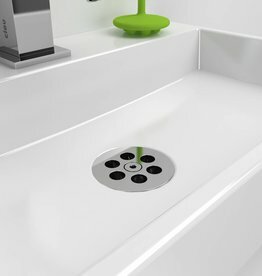 Mini Wash Me drain set for hand basins, without cover, chrome or brushed stainless steel. 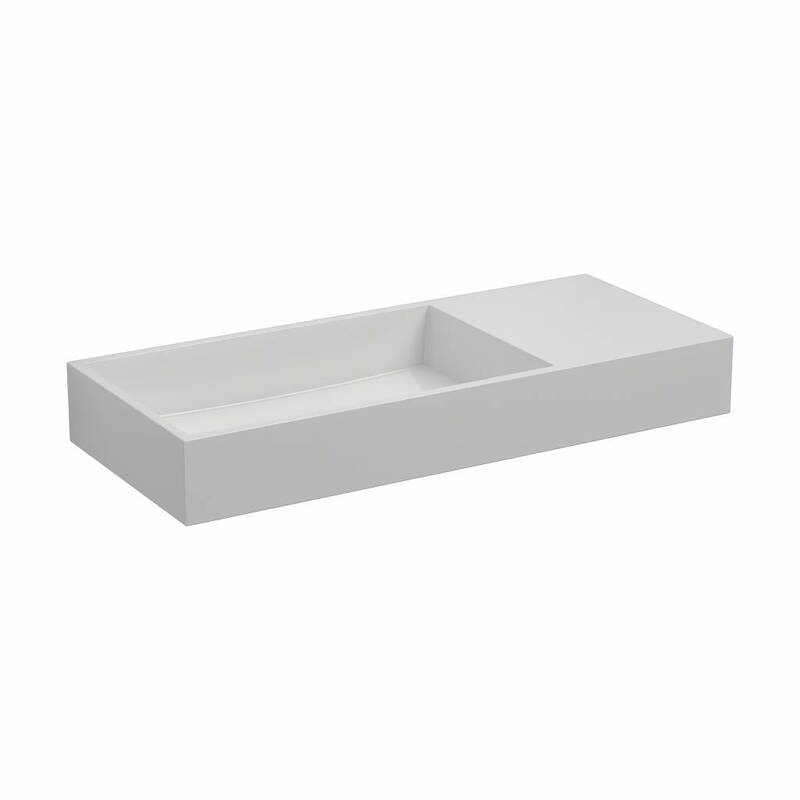 Mini Wash Me drain set for hand basins, with cover, chrome or brushed stainless steel. Xo washbasin mixer, type 1, with swiveling spout, chrome.